Zevrix Solutions announces Output Factory 2.2.15, a feature update to company’s output automation solution for Adobe InDesign. Output Factory helps users automate printing and exporting from InDesign by offering batch processing, single page export, layer versioning, custom scripts integration and more. Built-in auto-preflighting helps printers eliminate costly output errors. The new version lets users automatically add InDesign page dimensions to the variable names of exported output files. Toronto (ON), Canada — Zevrix Solutions today announces the release of Output Factory 2.2.15, a feature update to company’s output automation plug-in for Adobe InDesign. Awarded 5 stars by InDesign Magazine, Output Factory automates and simplifies workflows of printers, ad agencies, and publishing houses worldwide. The software helps eliminate repetitive tasks through batch processing with time-saving output options. The new version lets users add InDesign page dimensions to the variable names of exported output files. The update adds three new tokens: page width, height, and measurement units (such as inches, millimeters and so on), thus giving users the complete flexibility to include the page size in file name in any format they wish. In addition, Output Factory includes tokens for page number, version layer, current date, user name and other variable data. 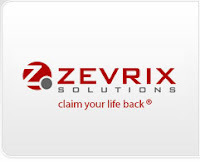 Output Factory can be purchased from Zevrix website for US$169.95 (Lite version $119.95), as well as from authorized resellers and Adobe Exchange. Trial is also available for download. The update is free for the users of Output Factory 2.x, and $84.97 to upgrade from Output Factory 1.x and BatchOutput. Output Factory requires macOS 10.7-10.13 and Adobe InDesign CS3-CC 2018. This entry was posted in Press Releases, Software, Technology and tagged adobe indesign, indesign, layer versioning, macos, output factory, preflighting, zevrix. Bookmark the permalink.